With March in full swing and cold and “plus” temperatures on the rise, it’s time to start thinking about your upcoming Spring vehicle services. These 10 services are all inexpensive, and will go a long way toward keeping your car, truck, van, or SUV in happy, healthy condition throughout 2019. Potholes, uneven road surfaces, and heavy piles of snow can have a major effect on your vehicle’s wheel alignment. Having proper alignment ensures your car will handle the way it was designed to. It will also protect your tires from wearing out prematurely. If you’ve noticed that your car isn’t driving in a straight line, or it’s constantly being pulled to one side of the road, then it’s time to get your alignment checked. Realistically, your car can be out of alignment and not pull, so it’s a good idea to get it checked once the snow has melted, regardless. In the end, it’s a relatively inexpensive fix if you’re on top of it early. First and foremost, if you have winter tires on your vehicle, you need to switch them out come spring. Winter tires are made specifically for cold temperatures. Their large treads do nothing for you during the summer months. And before you put your summer tires back on, make sure to check their tread as well. If their severely worn out, there’s no point in reinstalling them. You’ll need some new summer/all-season tires. Keep in mind, if you’re using all-season tires, weather changes can affect your overall tire pressure. This will lead to reduced handling, control and worn out tread. So make sure to have your tire pressure checked as well. Colder temperatures slow down chemical reactions. That’s why your battery can begin to feel sluggish during the winter, even if the state of its charge remains the same. If your battery is 3+ years old and your vehicle sometimes takes a few seconds to turn over, it’s time to get it checked and quite possibly replaced. Ensuring your brakes are healthy should always be a top priority when it comes to the regular maintenance of your vehicle. Your brake system has a lot of intricate parts that work together. You want each of those parts working as efficiently as possible. If the brake check light is on, that’s an obvious indication you need to have them looked at. Also, if your vehicle’s braking is slow, noisy or bumpy, there’s a high likelihood that you need new brake pads. 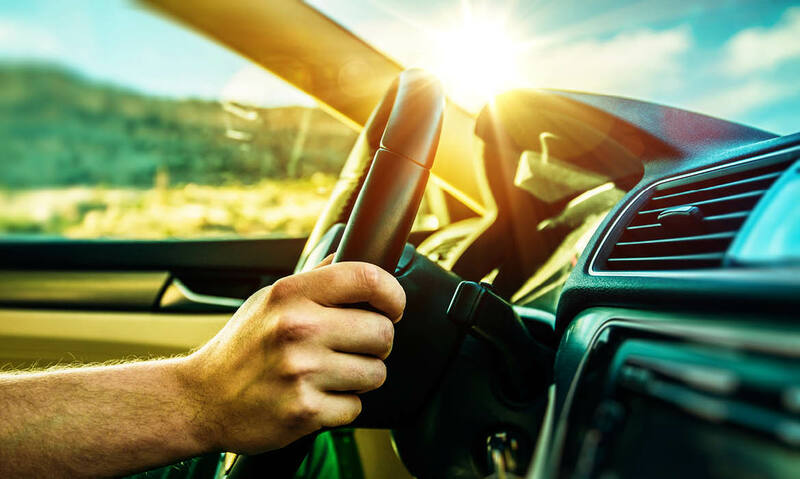 Getting your brakes checked before you go on that epic road trip this summer will save you a ton of headaches in the long run. One of the Spring vehicle services that everyone can get behind! Winter is messy. Snow, slush, sleet, rocks, dirt and other crap have played havoc with your vehicle for months. And not just the outside. You’ve also been tracking these things into your vehicle, too. It’s time you showed the inside of your vehicle some TLC. Get out the vacuum and Lysol wipes and go to town. Or, if this is a heavy duty job, you might even want to get your vehicle detailed. The most important reason for an exterior clean is the buildup of salt over the winter. Even though salt plays a huge role in keeping the roads safe during the winter months, it can actually eat away at your car’s body.This means big time rust if it’s left on for a long period of time. It’s a common misconception that salt stops being a problem once it dries. This is WRONG. The humidity in the air is enough to keep the salt alive and eating away at your car’s exterior. Give it a wash. Make sure you use the right kind of soap and thoroughly clean even the hard-to-reach places (like the undercarriage). The wheel wells are an important area to focus on, too. Remove as much of the salt buildup as you can. Then, when you’re drying your vehicle, use a natural-fiber drying cloth. This will help you avoid scratches. Obviously summer is a lot harder on your cooling system than winter. That being said, a cooling system that worked fine throughout the winter may not be able to handle the warmer temperatures of summer. If your coolant light is on or you just haven’t checked the levels since last summer, then it’s time to open your hood and get looking. Most vehicles have a fluid level gauge, so check the manual on how to properly verify the levels are where they need to be. Remember: Only open the coolant cap when your engine has been off for a while and is cool. Opening the cap directly after you’ve driven your car can be extremely dangerous! When it comes to Spring vehicle services, this one’s pretty simple. You tracked a ton of dirt and garbage into your vehicle over the course of winter. Well, your air filter was breathing in a lot of garbage too. Having it inspected takes less than a minute! A certified Go Auto technician can let you know within moments if you’ll be needing a new one or not. Flushing your transmission is quite inexpensive when compared with the cost of replacing or repairing your entire transmission system. It’s generally recommended that you change your fluid every 50,000 km or after two years. These things generally wear out and need to be checked on a consistent basis, regardless of the season. But if you’re already in the process of gearing up for spring, it makes sense to ensure all of your lights and belts, including your wiper blades, are running properly and efficiently. Regular oil changes will ensure your car lives a long and efficient life. In terms of Spring vehicle services, this one is basically non-negotiable. It’s recommended you change your oil every 5,000 kilometres (some vehicles, however, can be up to 8,000 kilometres). Spring time is the perfect opportunity to bring your car in and get it done if you’ve been putting it off for a while. The great thing here is, while you’re getting your oil changed you can also have the technician top off all your fluids and check the things you need to have checked. You can potentially get all your spring preparation done in a single visit! If your vehicle is due for a regular service, or you’d like to go through this checklist with a professional, give us a call at Go Auto (780-777-7777) or schedule an appointment online today! We’d be happy to help put your mind at ease this spring and give your vehicle the love it deserves. When Should I Take My Car in for a Wheel Alignment?